Want to know how to immigrate to Alberta from Australia? We have the perfect guide for you to make this stunning Canadian province your home right here. Fields of green, forests as far as the eye can see and snowy mountainous peaks around every corner, welcome to Alberta, Canada’s third largest province. Thousands of travellers flock to this stunning province every year to experience true Canadian beauty. Alberta has everything to offer, including hiking, skiing, canoeing, city life, farm life, a booming economy and so much more. 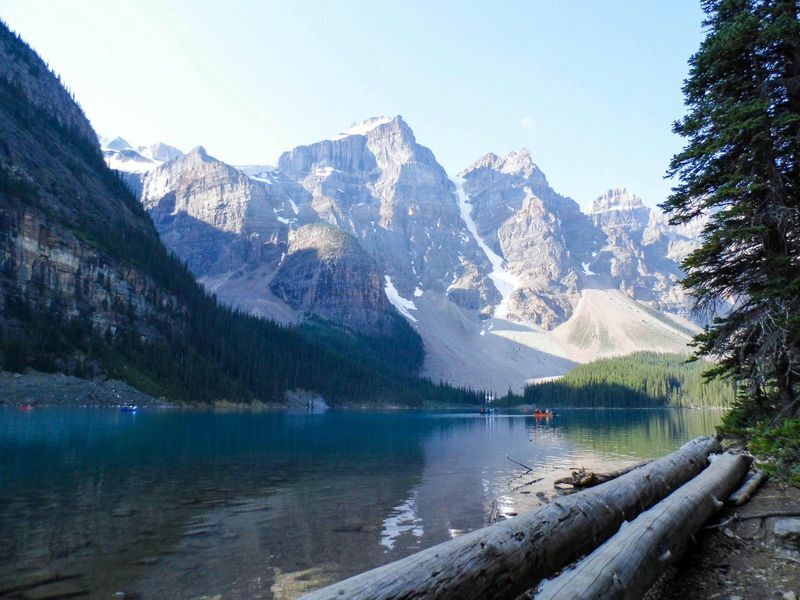 Those of you who enjoy outdoor activities might have heard of the famous Banff National Park and for good reason! 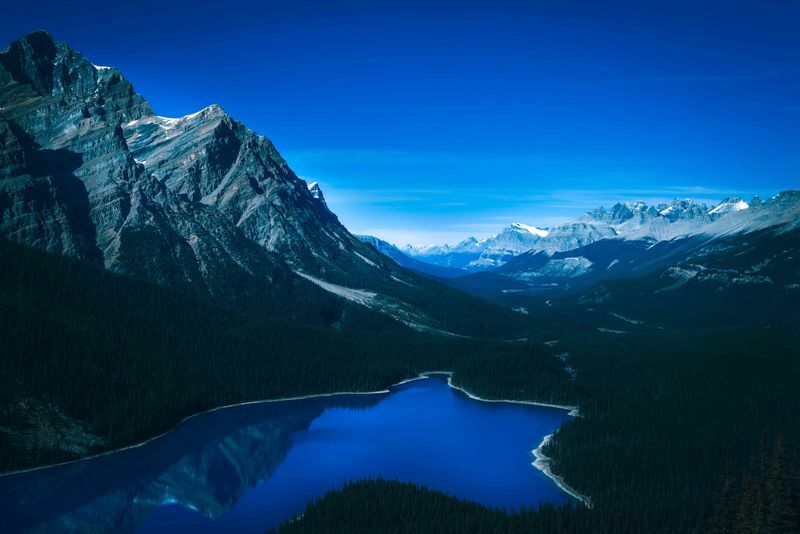 Banff is one of Canada’s biggest and most beautiful national parks offering visitors endless joys through its pristine wilderness and breathtaking beauty. Thrill seekers and outdoor enthusiasts from Australia and the world over visit the park every year. Unlike the numerous tourists, permanent residents and citizens of Alberta get to call this beautiful province home all year round! 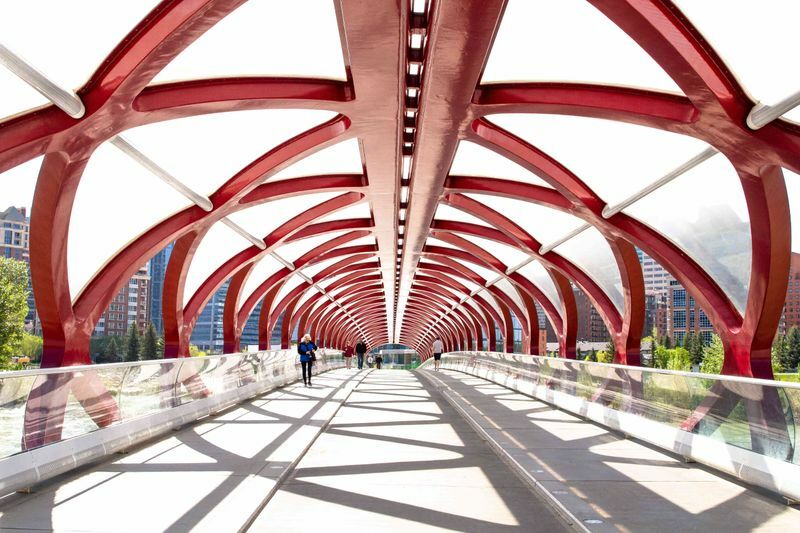 There are multiple paths you can take to immigrate to Canada and receive permanent residence in Alberta, you just have to pick the right one for you. Thankfully, we are here to clear up all the confusion. This is how to immigrate to Alberta from Australia. Which Canadian Immigration Programs Will Let Me Immigrate to Alberta From Australia? Canada has a highly developed immigration system allowing its provinces and territories to bring over people who possess desirable skills and work experience to live and work in the country. The Express Entry system was created in 2015 to help process immigration applications faster so that more skilled workers can enter the country. Now, it has become the most popular route to Canada because processing times average around six months! If you can satisfy all of the requirements for any of the above the programs, you will receive an Invitation to Apply for permanent residence in Canada. Once you have this status and if you have no employment commitments to a particular province, you can live and work freely anywhere in Canada. Read our comprehensive guide on how to immigrate from Australia to Canada for more detail on this particular application process. 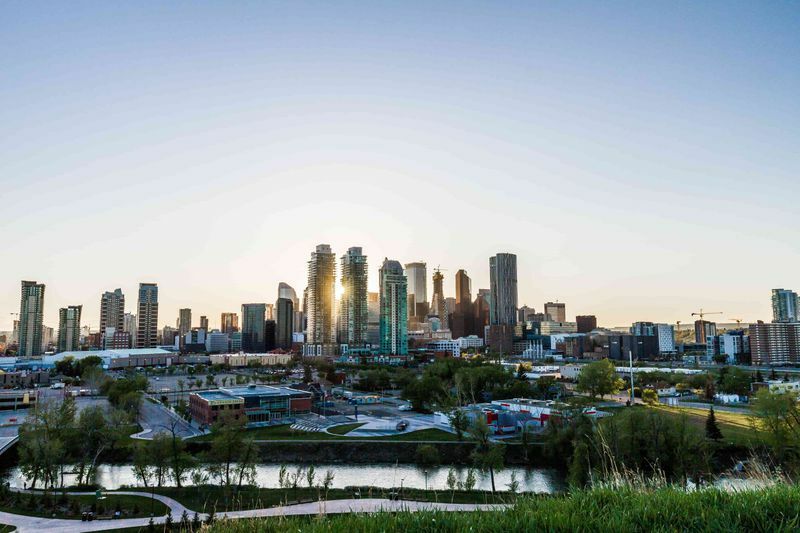 Following the steps outlined in our guide will allow you to call Alberta your new home away from Australia if you manage to find employment in the province. There is another option available to you that will fast-track your immigration to Alberta and it is the Alberta Immigrant Nominee Program (Alberta INP). The Provincial Nominee Programs were designed to enable the various provinces and territories of Canada to nominate individuals to apply for permanent residence if they have the specific work experience or skills needed in the area. Thankfully, as of 2018 every province or territory that has a PNP now has at least one category managed by the Express Entry system. The best part about receiving a provincial nomination is that you score 600 Comprehensive Ranking System points for Express Entry, which will basically guarantee that you get selected for immigration during the next Express Entry Draw. The new Alberta Express Entry stream allows the province to nominate skilled applicants from the Express Entry system. Normally the Alberta INP will choose candidates who possess the skills and work experience needed in the province directly from the Express Entry pool. You can improve your chances to be selected if you can demonstrate that you have strong ties to Alberta and if you are qualified to contribute to the province’s booming economy. If you are chosen by the INP, you will be issued a Notification of Interest letter from Alberta and you must email the letter to the Alberta INP within two weeks of receiving it. They will then contact you to continue the application process. There is an extensive list of requirements you need to meet if you want to qualify for this stream and if you want to know how to immigrate to Alberta from Australia we recommend you get familiar with them quickly. You must be a temporary resident of Canada who is authorized to do work. You need to have a valid work permit for an eligible occupation based on a Labour Market Impact Assessment (LMIA) or an LMIA exempt occupation. At the time of your application, you must be working in an eligible occupation in Alberta and it must be in a job that matches your previous work experience. You need a minimum CLB or NCLC test score of 4 for each language skill. If your occupation is under NOC code 3413, you need a minimum of 7 for each language skill. You must at the very least have completed high school in your home country. Your current income level must meet a minimum gross annual income based on you and your dependents. In other words, you must have enough money to support you and your dependents in Alberta. This stream is a bit more specific than the previous two discussed. As the name implies, the Self-Employed Farmer Stream targets individuals who are interested in managing and operating a farming business in Alberta. The province has the second most farms in the country, just behind Saskatchewan. The major agricultural products farmed in Alberta, include grains and oilseeds, livestock, dairy, horticulture, poultry and eggs. You must prove that you have farm management skills as shown by financial documentation of your existing farm business, a proposed business plan, proof of potential investors and documentation of your work experience and education. You must have sufficient financial resources to develop and sustain a stable farming operation. The minimum investment you need to make in the business is $500,000 and you must be able to prove that you can make this kind of an investment. You must invest in a primary production farming business in the province. Now that you know more about the various routes to Alberta, you must be wondering how do I start the process from Australia? Over the years we have successfully assisted hundreds of Australian residents in obtaining their Canadian permanent residence and we can do the same for you. Below we will discuss some of the specific documentation you will need as an applicant living in Australia. There is a long list of documents you must gather for your Canadian immigration application, these include your ID, passport, language tests, education credential assessment, biometrics, police clearance and doctor’s certificate. The first few items on the list are pretty self-explanatory. Just make sure that they will not expire by the time you submit your entire application. The last three documents are a bit more complex than you might think. This is a relatively new requirement for immigration to Canada. Basically, it is just a more efficient way for the government to identify who is entering and leaving their country. Biometrics use fingerprint and facial recognition technology to identify you for online security purposes. You must submit a full medical exam along with your immigration application. Not all doctors can do the examination, only medical practitioners identified in Canada’s panel of physicians will be accepted by immigration officials. These are some of the doctors included in the panel of physicians living in Australia. To apply for a police certificate you must fetch the Australian Federal Police National Police Check (NPC) Application Form at the Australian Federal Police office. This office is located in Canberra City and can be contacted at +61 2 6202-3333. The process does not differ if you are an Australian citizen or not. Just remember to bring along the relevant application fees. Even if you meet all the requirements of one of the Alberta INPs and you prepare all of the relevant documents mentioned above, there is no guarantee that your application will be successful. The smallest error will render your application null and void, meaning all the time and money you have spent will be all for nothing. The real answer to the question, how to immigrate to Alberta from Australia, is with the help of an expert of course! Working with a professional immigration consultancy will ensure that there are no complications with your application. We make things easier, clearer and faster for you. Whether you are living in Australia or anywhere else we are ready to help you. Sign up for our services today!